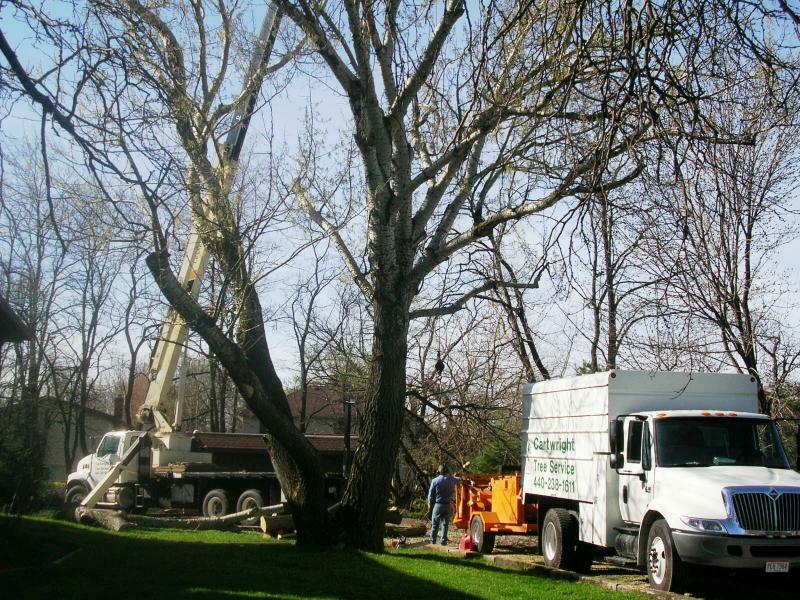 Cartwright Tree Service, Inc. will provide you with the experience and all the neccesary equipment to take care of your tree needs. Whether you need Trimming of your Trees or Removal - No Need is Too Big or Too Small ! 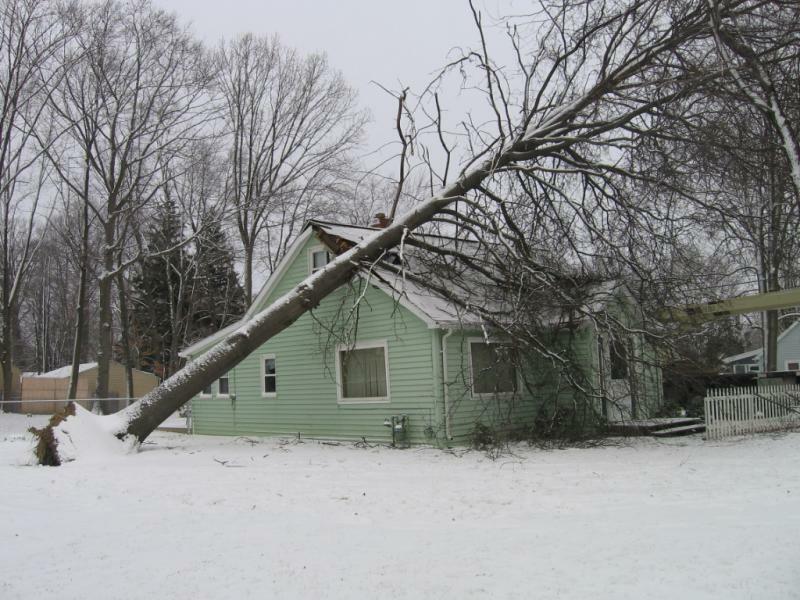 Tree Removal - How to completely remove the Tree is determined on location, size, and accesability to remove it the safest way possible. Whether we use our 65' Arial Bucket Truck, 100' Crane(140') , or climb the tree and lower with rigging carefully, we will treat your yard as if it were our own. Plywood can be put on your lawn to protect your yard from any equipment that we use. We hand carry all Wood, Brush and Debris and Rake your yard for a complete cleanup. We offer Cabling of Trees with Multi-Trunks that are splitting to avoid them from pulling apart - Depending on the size will determine how many are needed. This is just an example of what could happen to an unstable double trunk tree.